The first large-scale ground based solar electricity generation park on the island of Ireland has opened in Co Antrim. The 30-acre solar farm at Crookedstone Road, which cost £5m (€6.45m) to build, produces up to 5MW of power from 20,000 photo-voltaic panels. 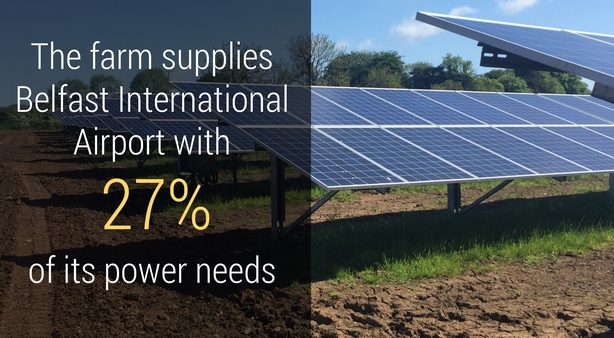 It can produce enough electricity to power 1,200 average houses, but instead provides 27% of the power needs of nearby Belfast International Airport to which it is directly connected under a 25-year agreement. That equates to a carbon emission saving of 2,100 tonnes a year, the equivalent of taking 469 cars off the road, Belfast based developer Lightsource Renewable Energy says. Lightsource says it worked closely with ecologists in planning the park, which features native hedgerows, wildflowers and bird and bat nesting boxes. 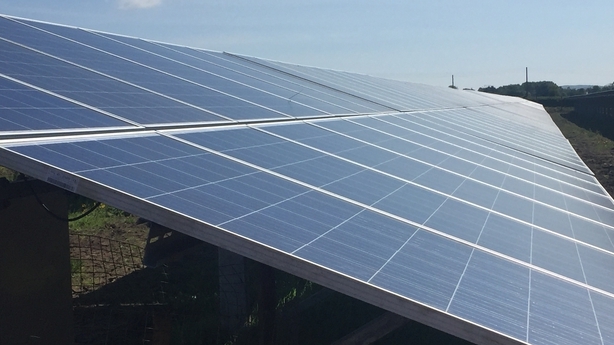 Dozens of similar farms are planned by Lightsource and other solar power developers for locations north and south of the border. The Sustainable Energy Authority of Ireland says solar energy could become an important part of the renewable energy mix here. Chief Executive Jim Gannon said as the efficiency of panels improves and the cost of manufacturing comes down, larger scale projects are starting to become viable. "I think we do have lower levels of sunlight than other places where you would have seen solar take off in the past," he said. "But the increases in efficiency of the technology see daylight being more important perhaps than sunlight would have been and if you have certain projects at certain scales in certain locations, it certainly can again form part of the mix". As part of targets set by the EU, Ireland must by 2020 have 16% of its overall energy mix coming from renewables, or potentially face heavy fines. 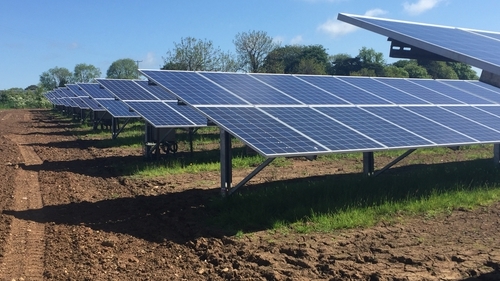 According to the Irish Farmers' Association, around 6,000 acres of land in the Republic has been optioned by landowners to solar park developers, with a view to them building similar facilities on them. 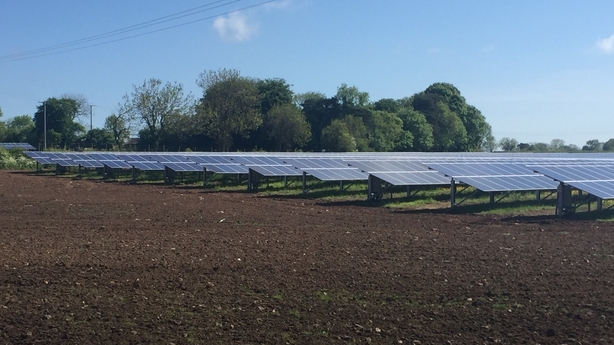 The association says it generally welcomes solar farms because they will help Ireland meet renewable energy targets and they provide a new income stream for members. However, because it is a new area the organisation is urging caution and says landowners should get appropriate advice if approached by solar park developers. It also says it would like to see community engagement and participation around the development of solar energy projects. "We want to move away from a situation in the past where renewable energy development was purely developer driven," said IFA Renewables Project Team Chairman James Murphy. "We want to see communities front and centre, being involved and being part of the process. And ultimately being given the option to buy into these developments once they are built out." The organisation has also called on the Government to bring clarity as to what level of financial support it intends to offer the solar sector, which could help it become more viable. It says the most appropriate forum for discussions around the issue is the Government promised energy forum.